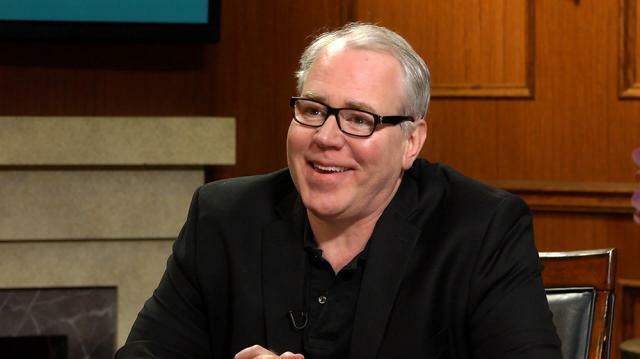 It’s a no-holds-barred interview with Bret Easton Ellis, as the bestselling author takes on the media for its role in the election, shares his chilling first meeting with Christian Bale, and discusses his fizzled plans to make a movie with Kanye West. Bret Easton Ellis joins Larry King ahead of his upcoming television project, “The Deleted.” The writer moves into the director’s chair in this new television venture about millennials that have escaped from a cult in Washington State and are now living in Los Angeles. Bret is reaching out to a younger audience with this new TV show, not only in content but in the app in which it is delivered. Finally, Larry King and novelist Bret Easton Ellis turn their attention to the scribe’s most famous works. He opens up about the writing process for his novel “American Psycho,” and how he views the protagonist Patrick Bateman. Larry also asks Ellis a first in his forty years of interviews, and finds out what the author is reading right now. Making his way through a novel by Anthony Trollope and a memoir by Bruce Springsteen, Ellis gives insight into what he gains as a reader.